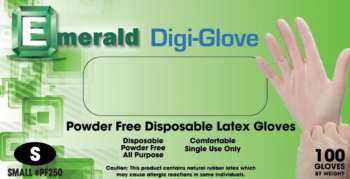 Emerald Digi-Glove general purpose powder-free latex gloves are ideal for any type of basic use and offer an excellent entry-level non-medical glove. 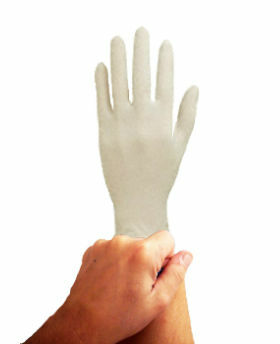 They are chlorinated to reduce allergens, and their powder free texture allows for a fine grip. A reliable glove at a great value. 100 gloves per dispenser box, 10 boxes per case.